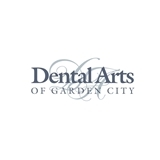 Dental Arts of Garden City (Garden City) - Book Appointment Online! At Dental Arts of Garden City radiant smiles and a perfect bite have been our business since we opened our doors in 1971. Drs. Jonathan Wachspress, Maxim Podolsky, and Donald Goldstein are here to provide you with the highest quality dental care you deserve, using state-of-the art techniques and practices for every procedure. We practice all phases of dentistry, including Invisalign, Invisalign Teen, Zoom! Whitening, same-day crown, Restorative Dentistry, and Implants. Serving children, teens, and adults in Garden City, NY (New York), our professional team treats you like the individual you are. We make sure to give each patient quality time, answering all of your questions and performing all procedures in a warm, stress-free environment.